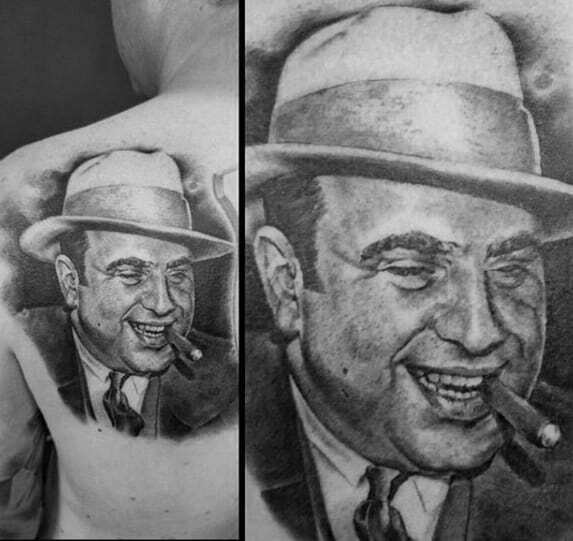 Al Capone was a tough-guy personality and an entrepreneur with questionable means of conducting business. 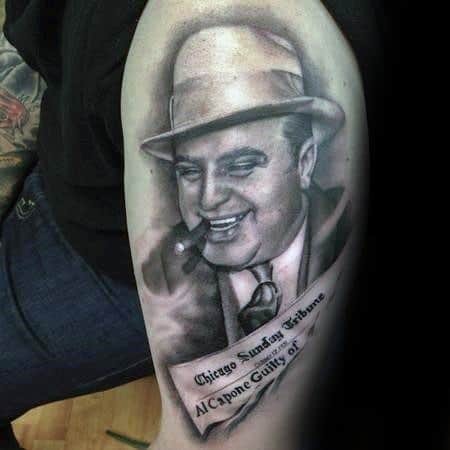 His notorious legend lives on today, and generations have come to know his name ever since the Prohibition era. 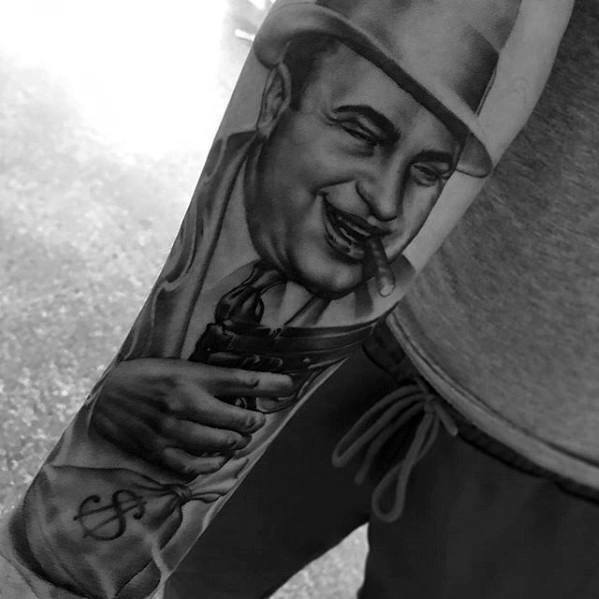 Born in New York, Capone rapidly gained influence in Chicago and rose among the ranks to lead a group of organized gangsters named the Chicago Outfit. 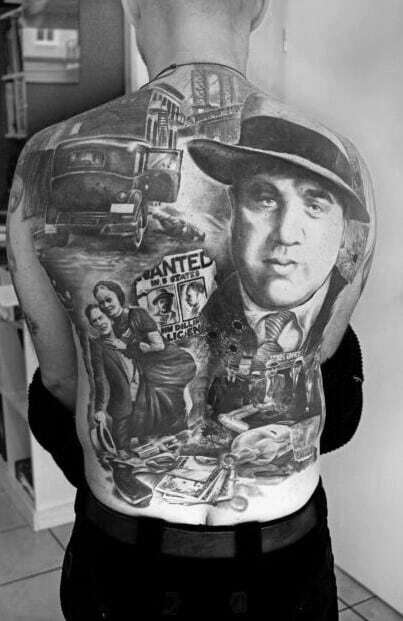 These men would do anything to get their way during the Prohibition era, including bootlegging, racketeering, and the execution of a number of individuals. 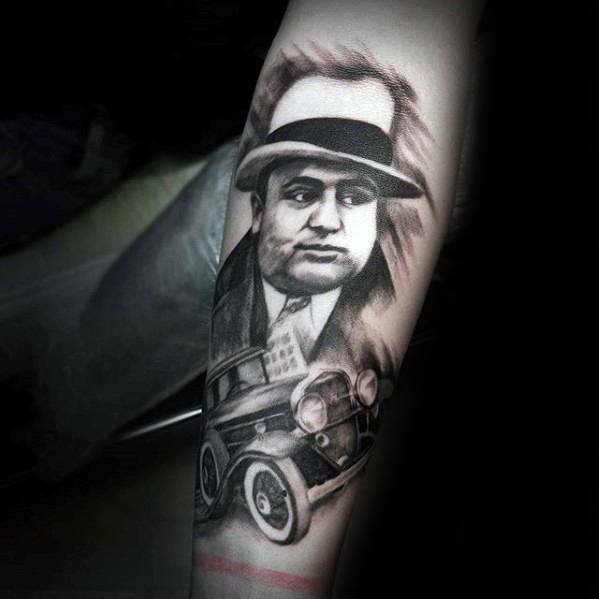 Through the imposition of his influence over the Chicago police, Al Capone was able to stay out of trouble with the law for many years. 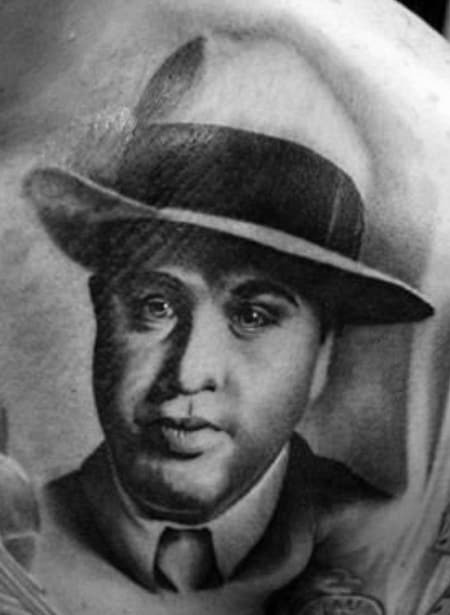 Although Capone committed numerous crimes during his lifetime, including murder, he was finally taken down when he was ultimately found guilty of tax fraud. 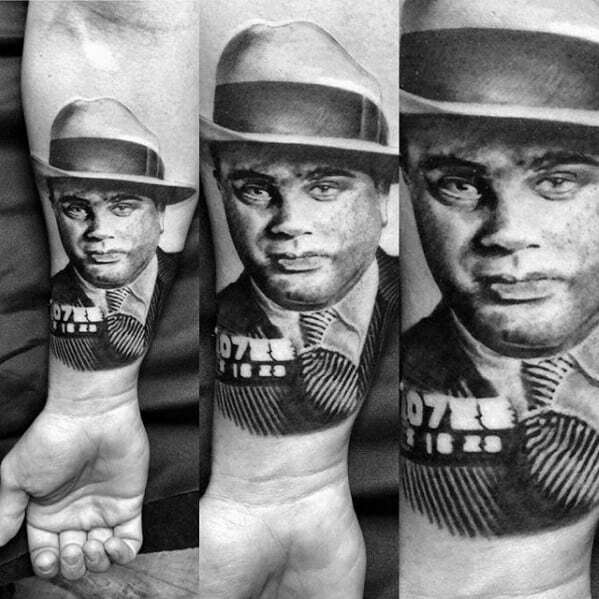 He served hard time in federal prison and was transferred off of the foreboding Alcatraz Island to a federal correctional institution before his release and subsequent death. 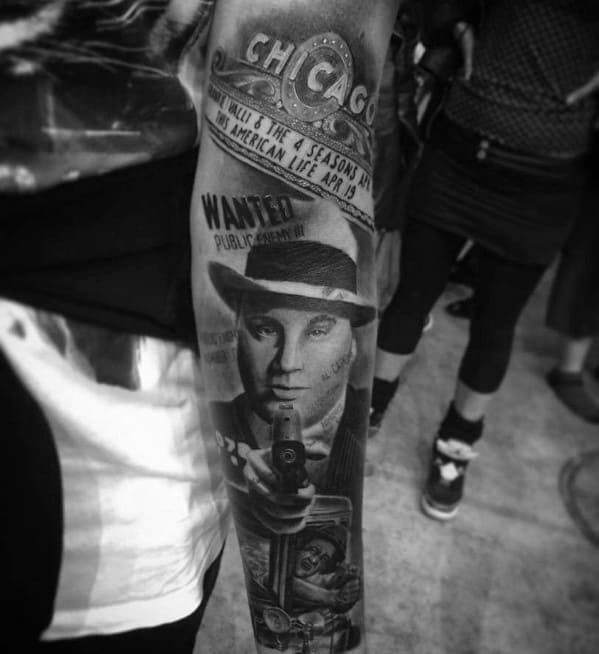 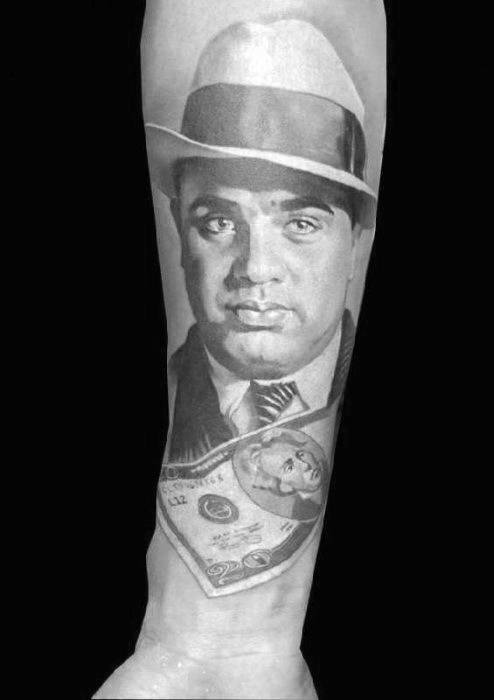 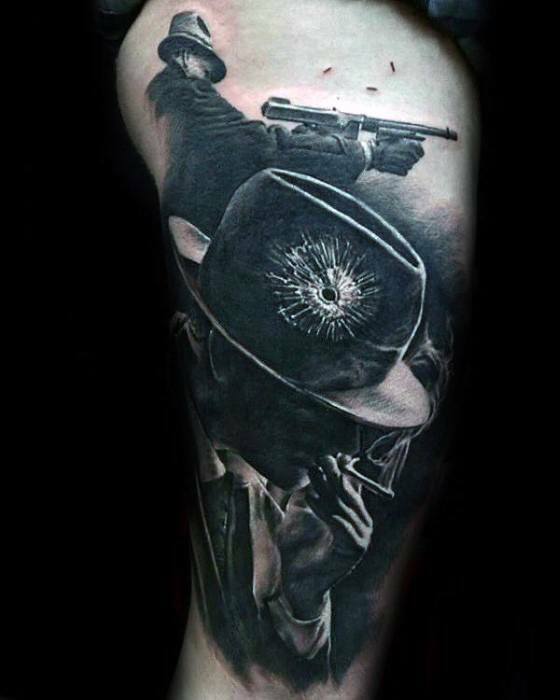 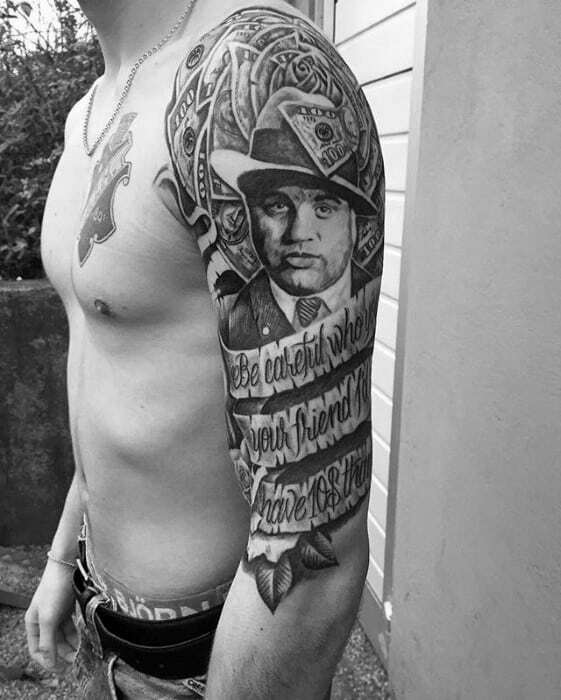 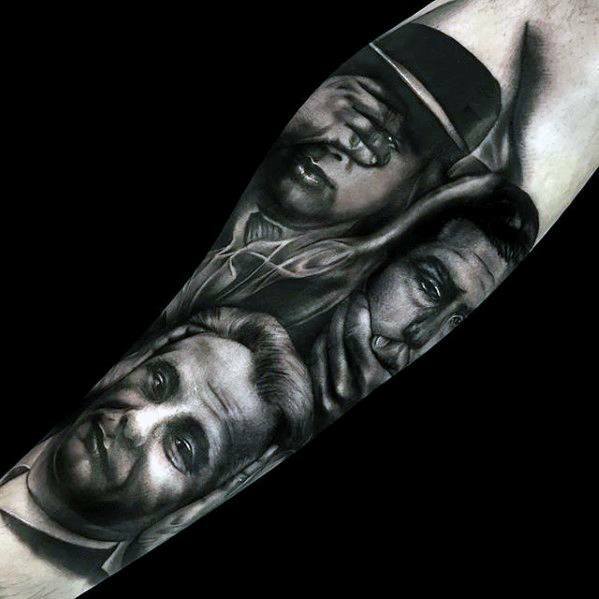 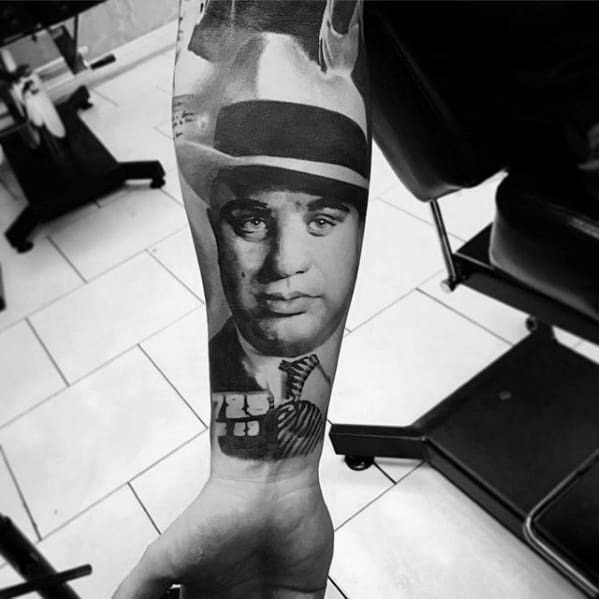 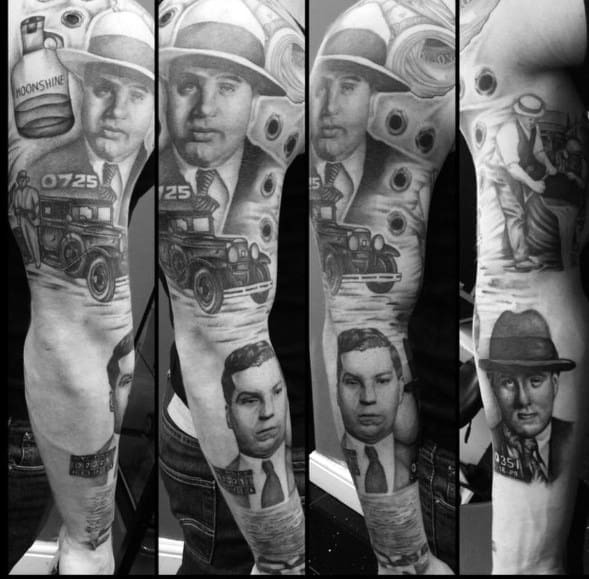 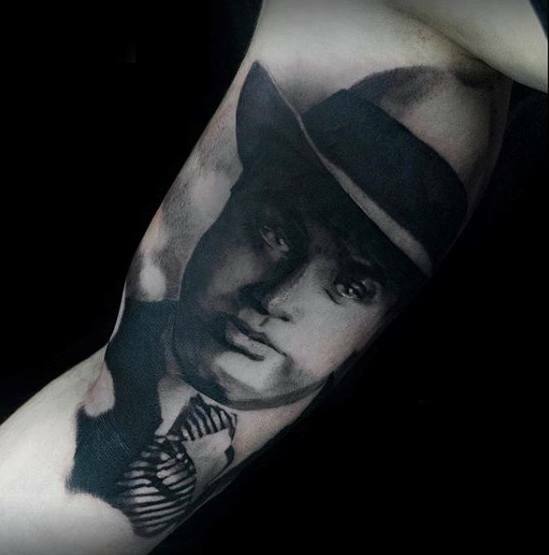 By portraying this American gangster in ink, men can identify with this iconic twentieth century rebel. 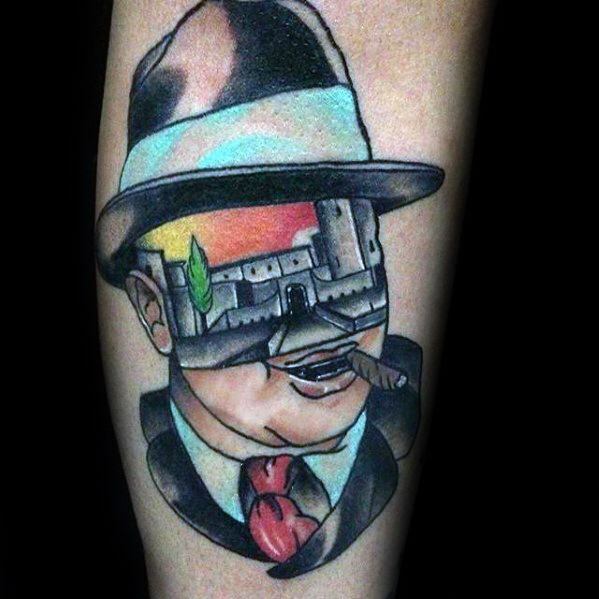 Make sure he’s wearing a fedora and smoking a cigar to complete his sinister look. 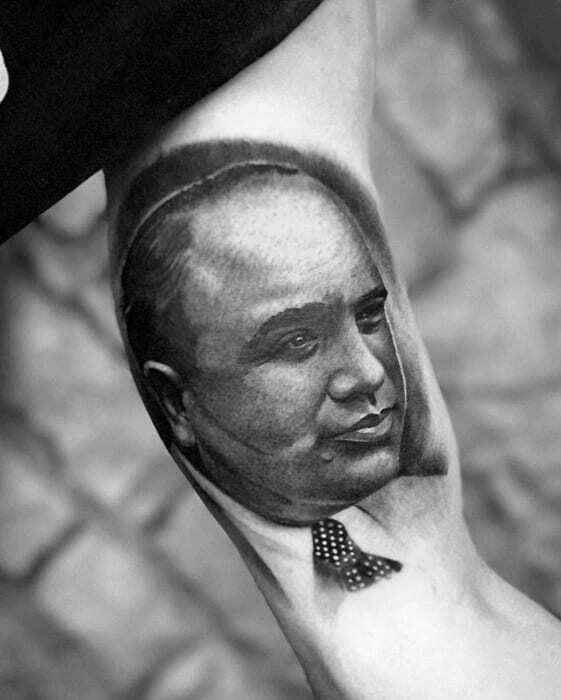 Tattoo variations could also include the letters of his name, his swirly signature, or his smiling mugshot. 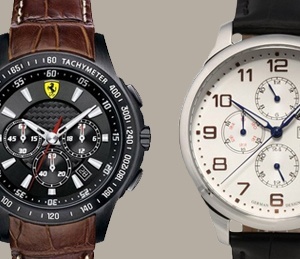 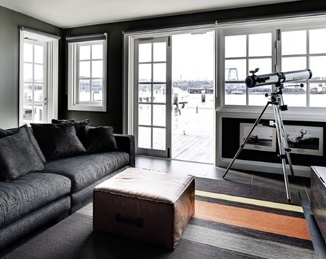 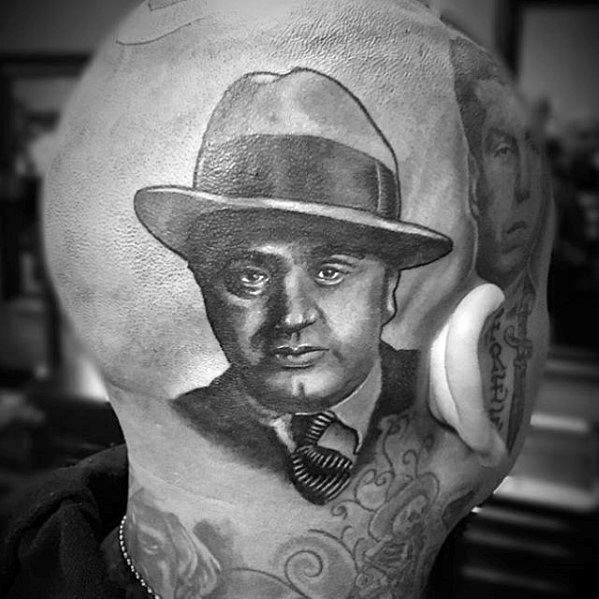 Those with personal interests in Capone and other famous gangsters may consider adding a collection of other infamous individuals to complete the look. 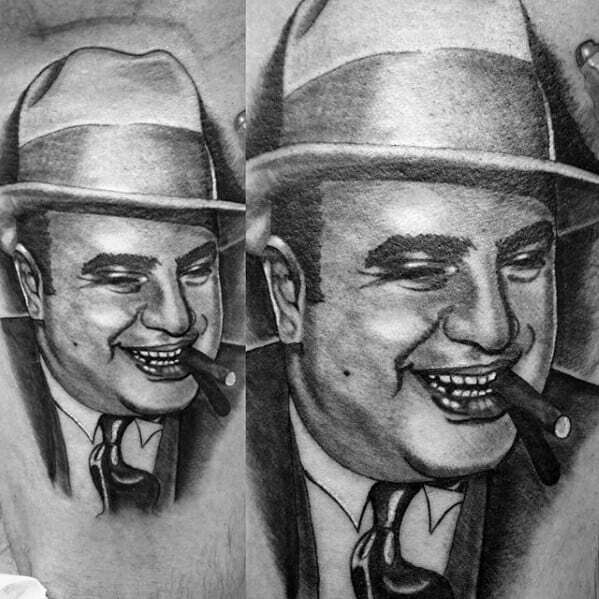 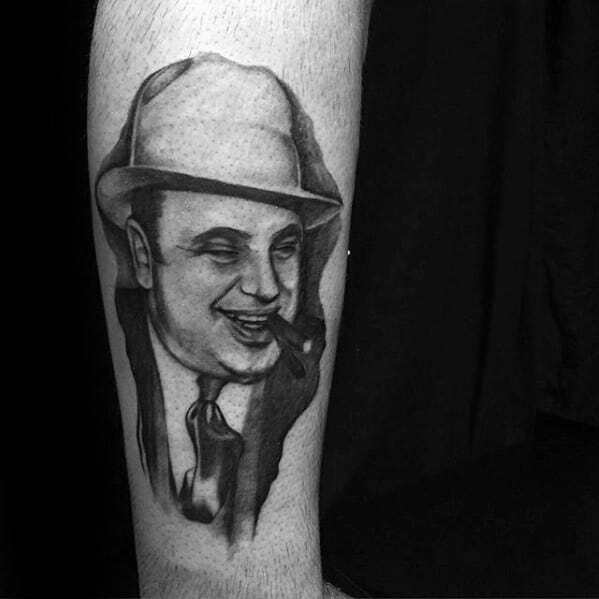 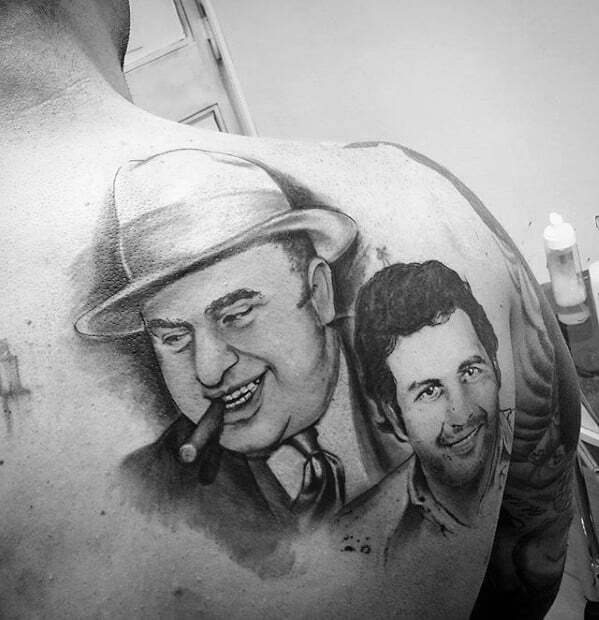 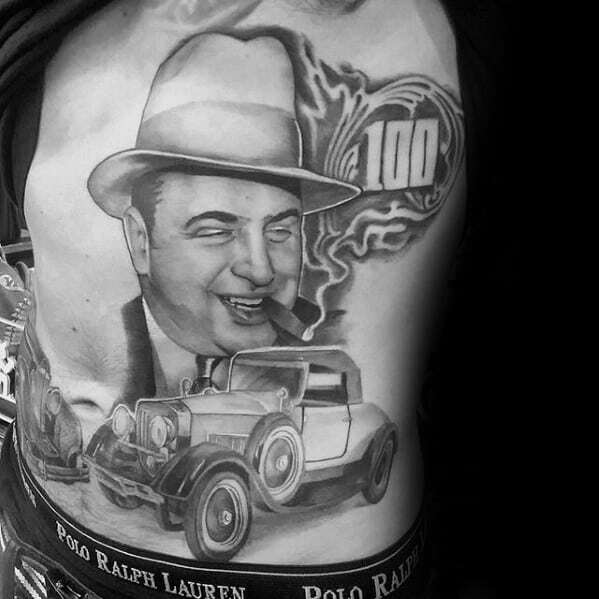 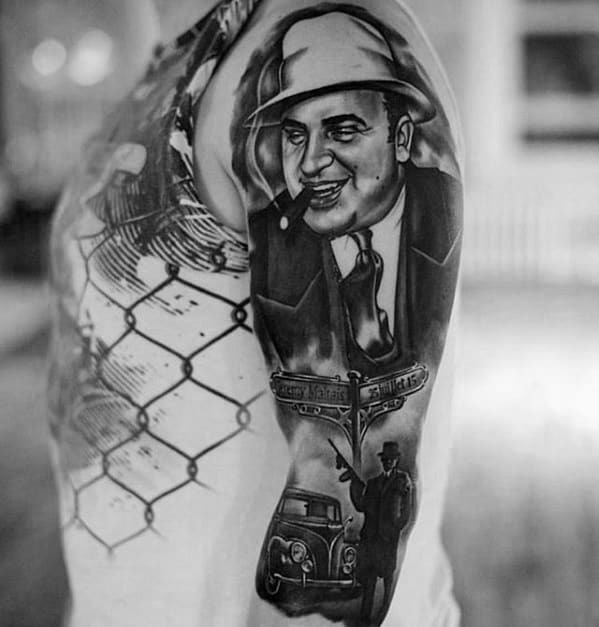 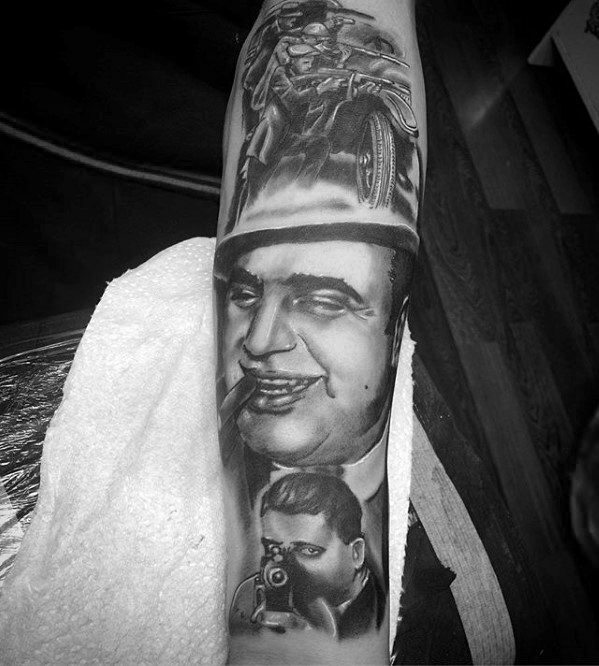 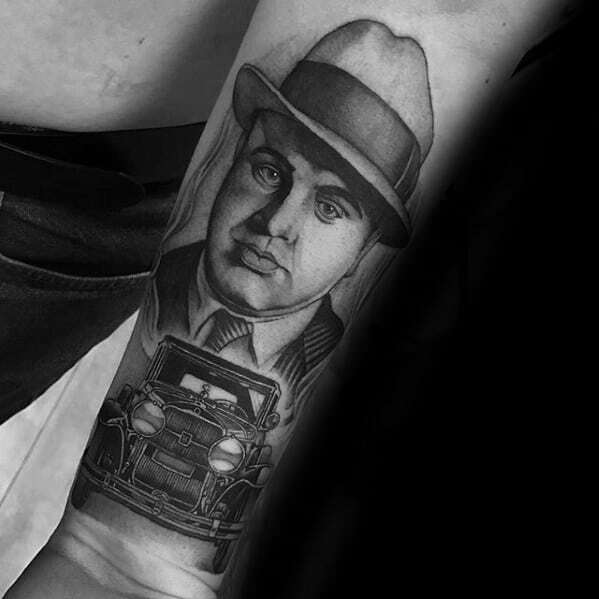 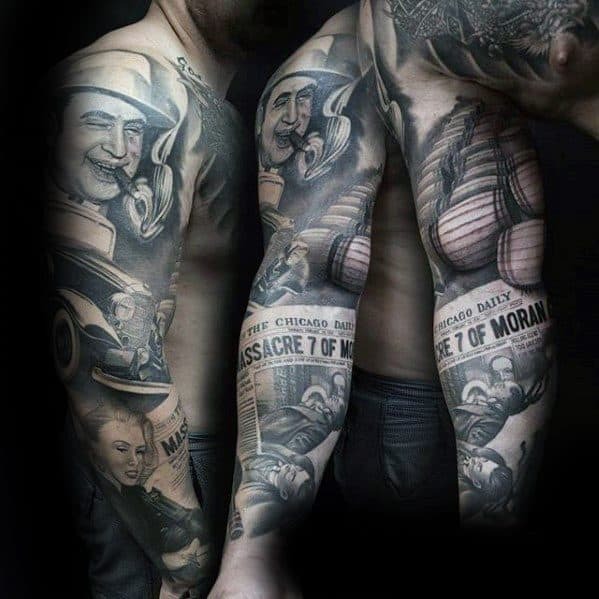 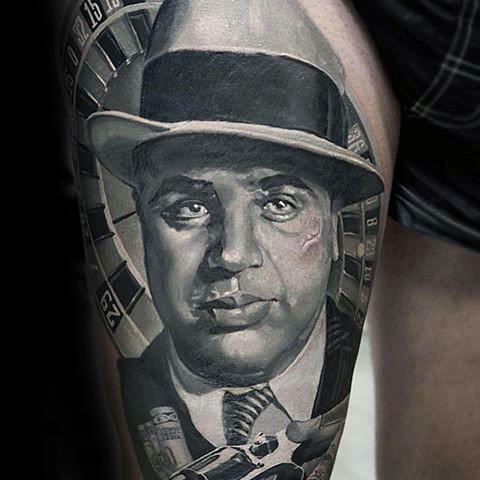 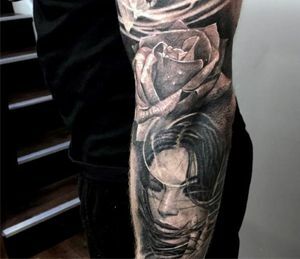 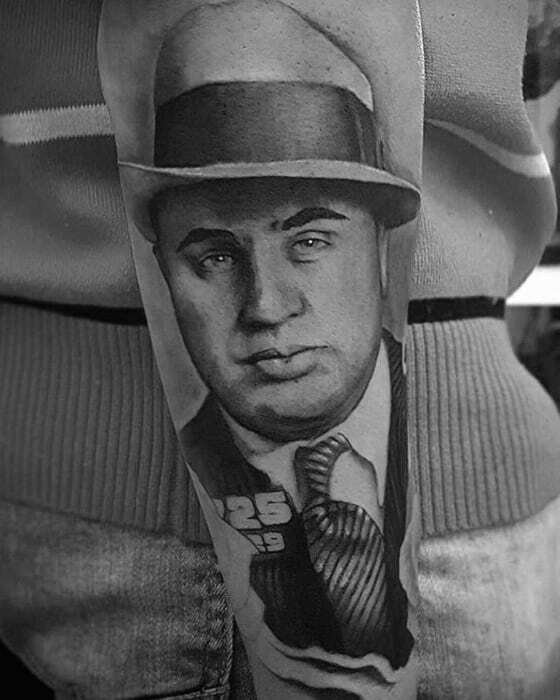 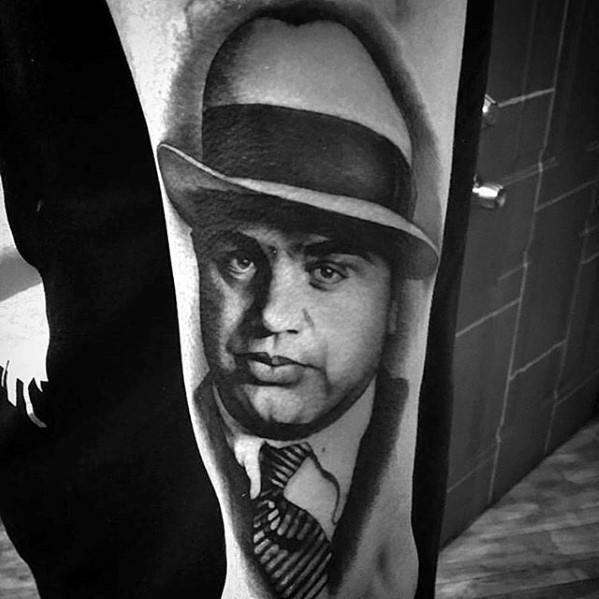 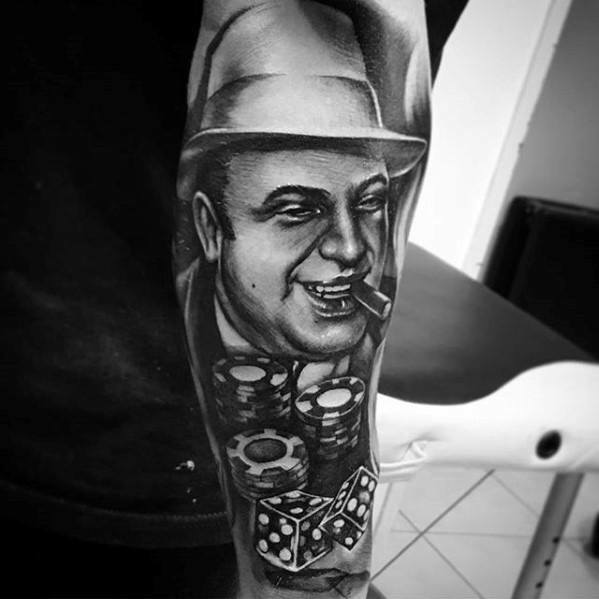 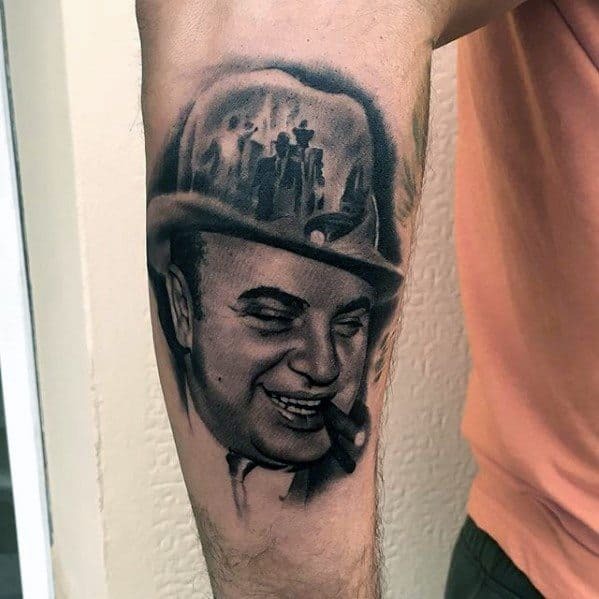 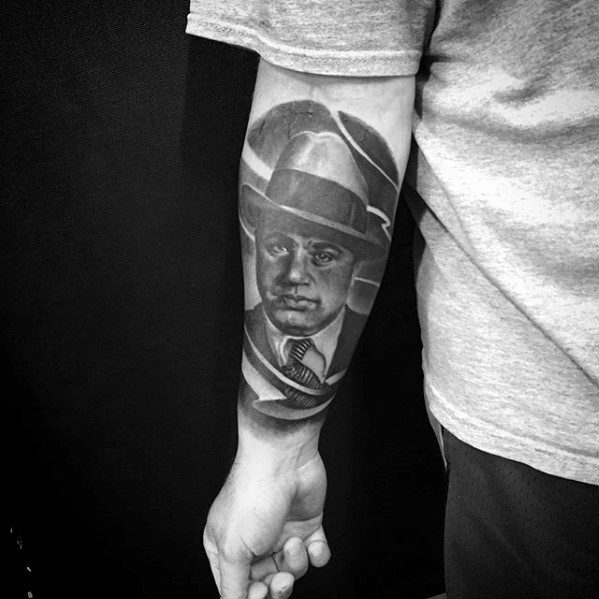 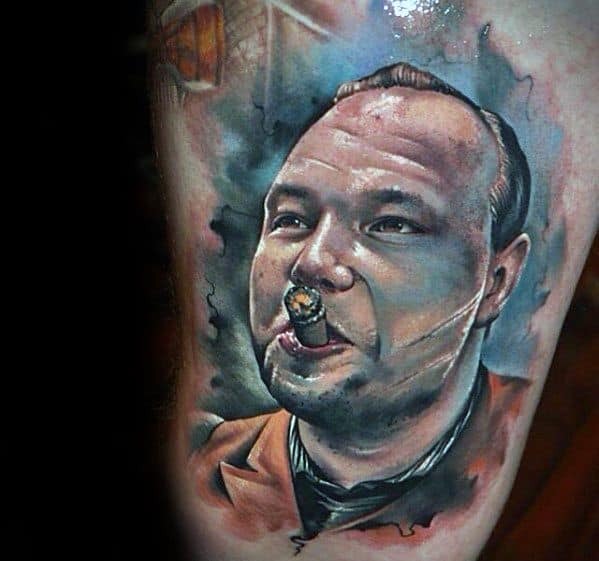 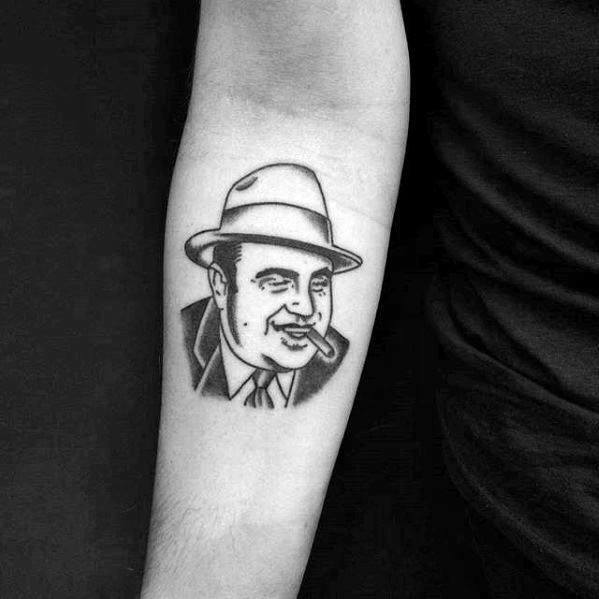 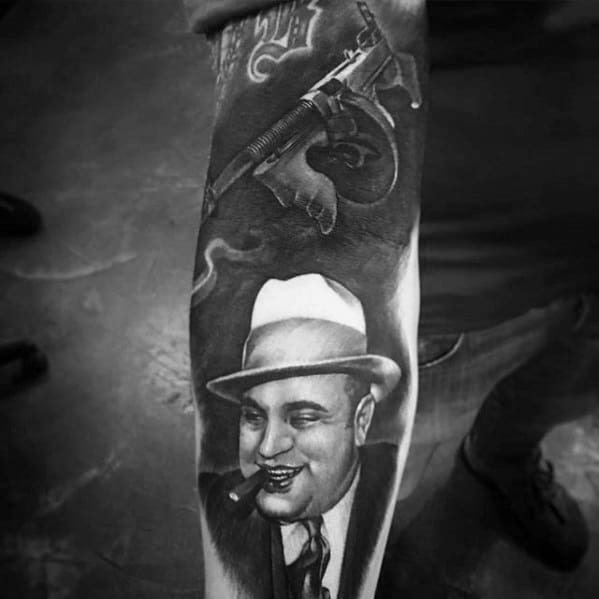 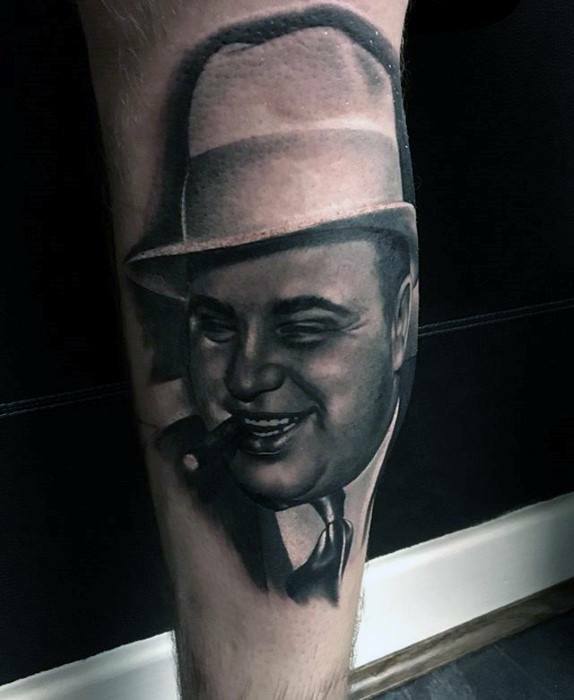 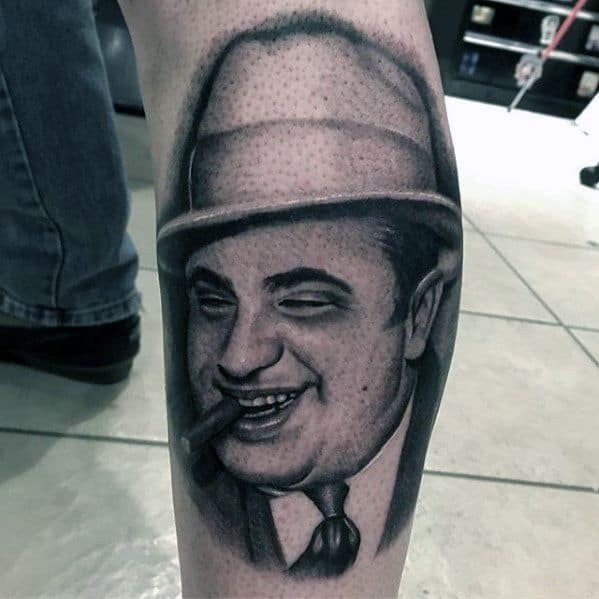 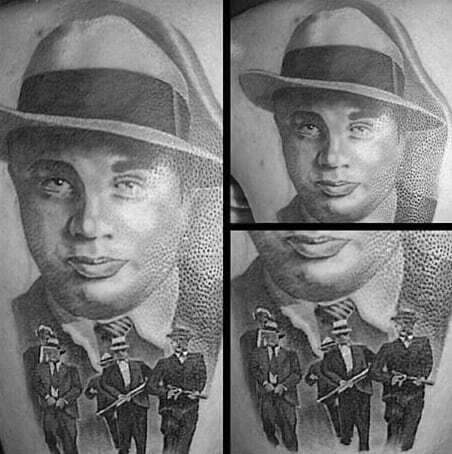 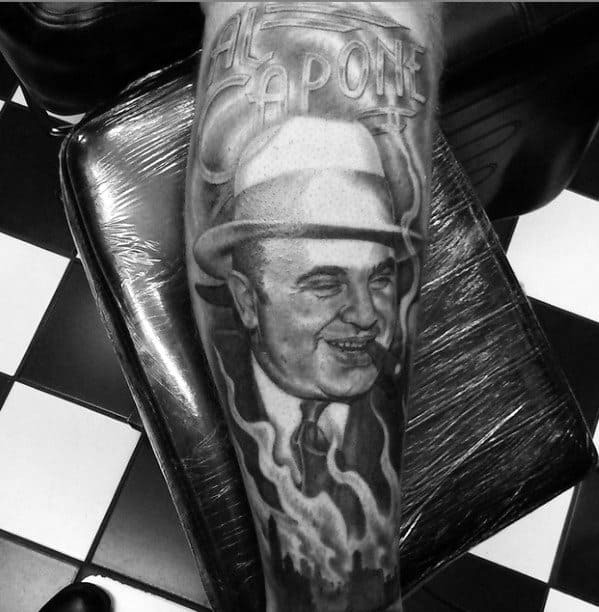 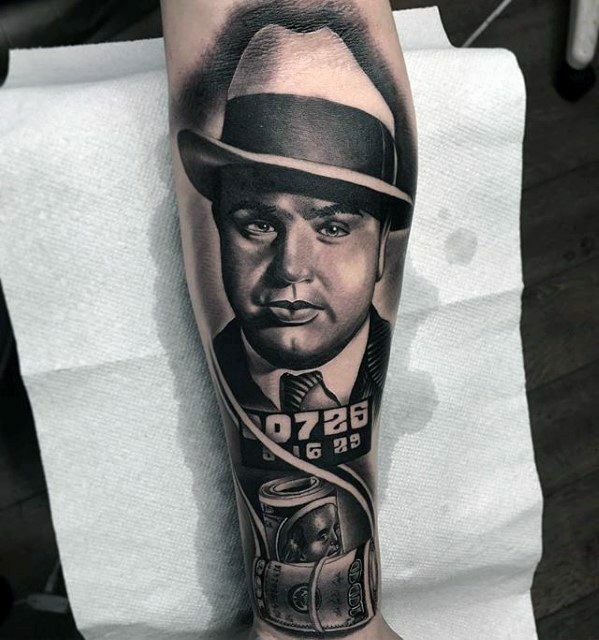 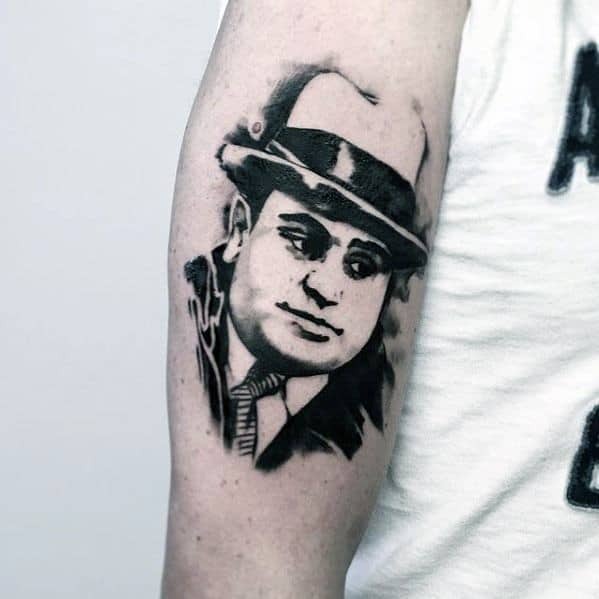 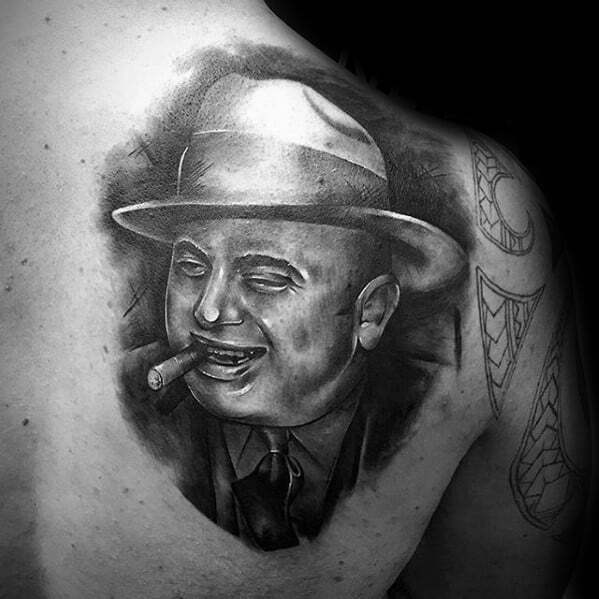 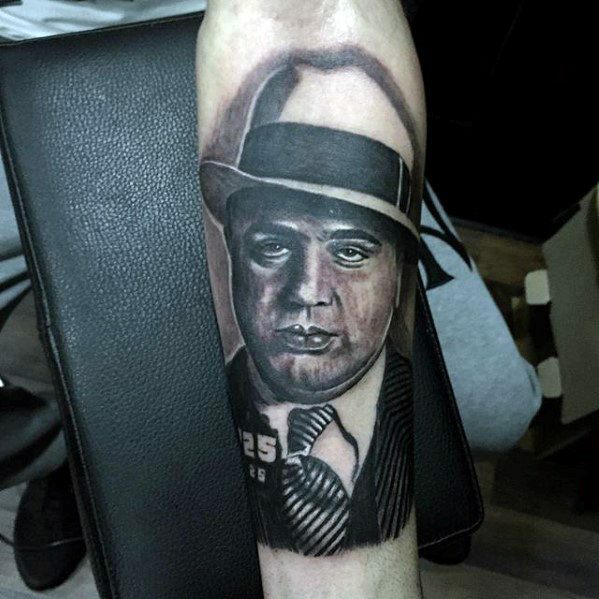 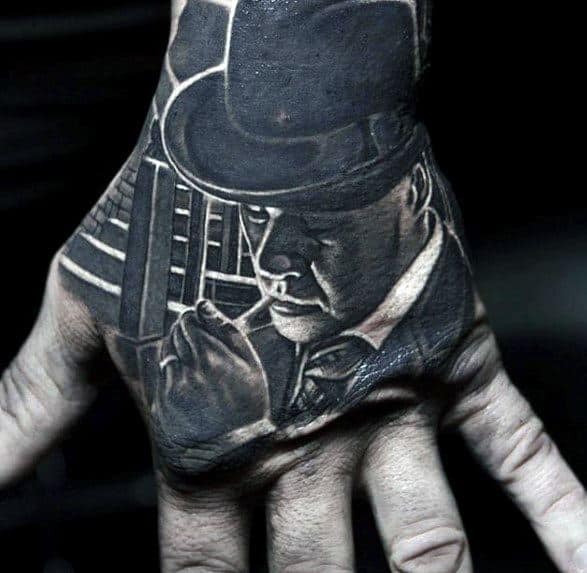 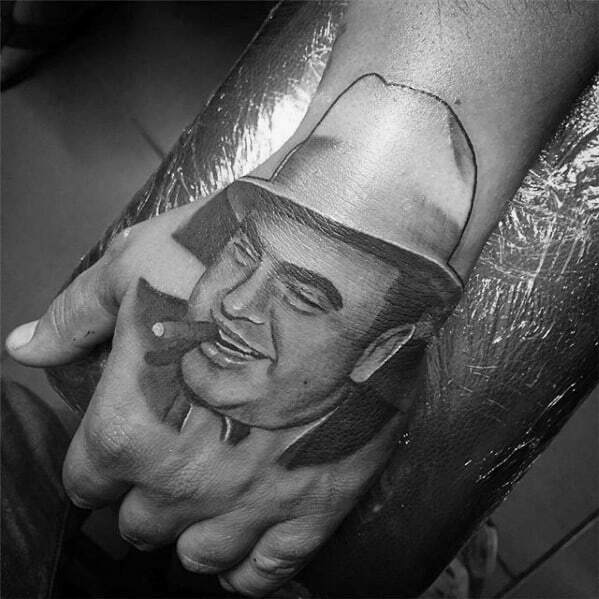 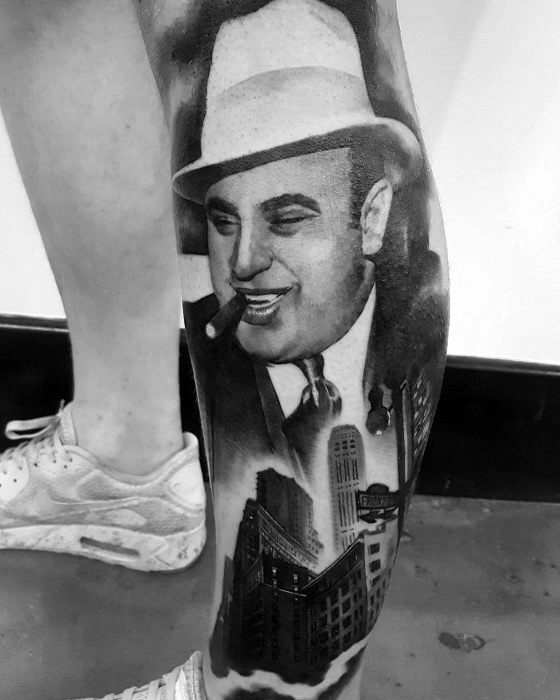 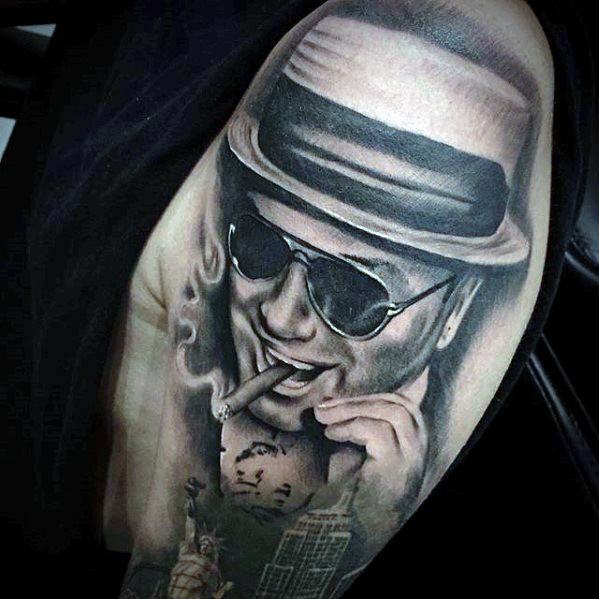 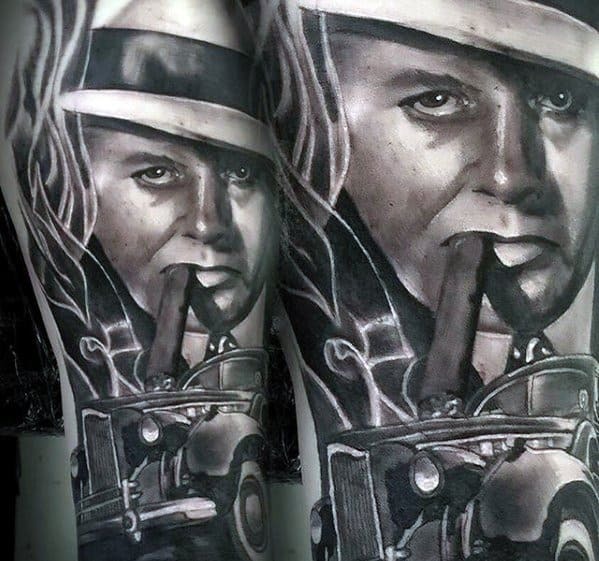 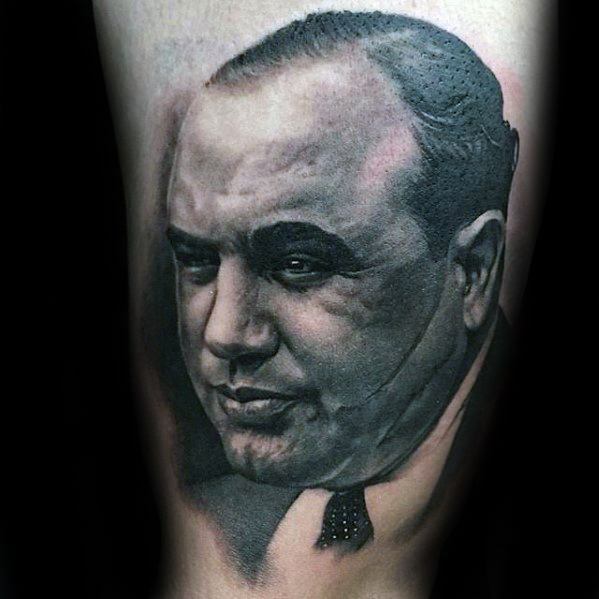 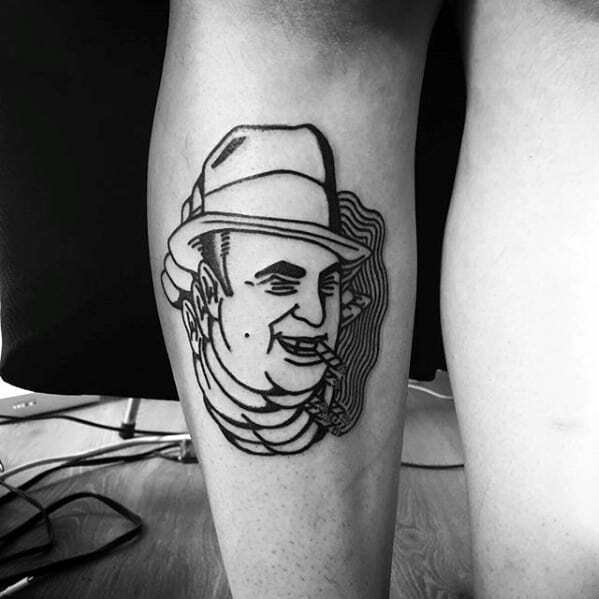 Don’t worry – you won’t get caught looking through our catalog of cunning Al Capone-inspired tattoos.